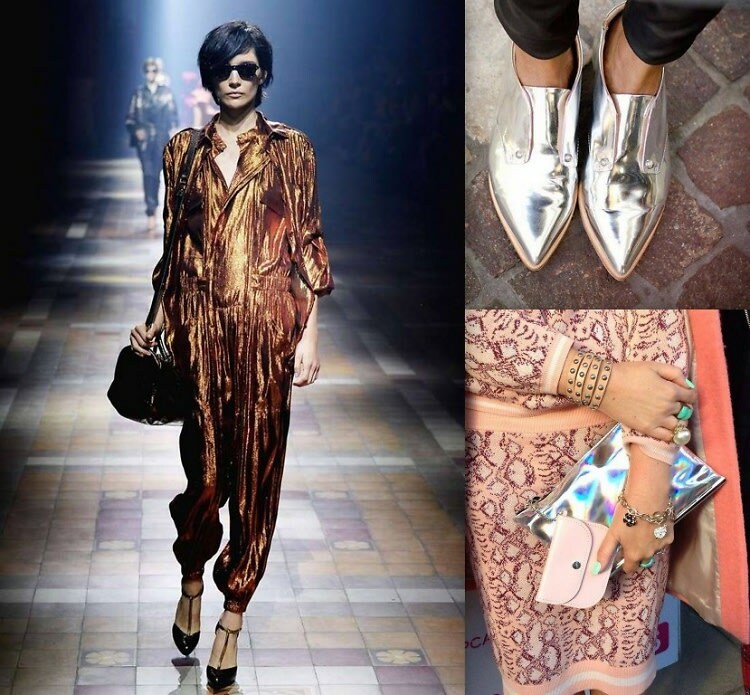 If you take a second to reminisce on some of the memorable Fashion Week moments from the spring 2014 runways, you'll be reminded of all the stunning metallic pieces from the likes of Lanvin, Dior and Kenzo, among other designers. To help you get in on this hot spring trend, we've put together some of our favorite metallic pieces to add to your wardrobe. From 3.1 Phillip Lim's Mixed-Media Pashli Satchel to Givenchy's Metallic Slip on Sneakers, click through for some of the metallic pieces we can't wait to wear come spring.